Kayak paddles, snowshoes, skateboards. Outdoor sporting goods used to be a tough market for 3D printing to break into, but fused particle fabrication (FPF) can change that. 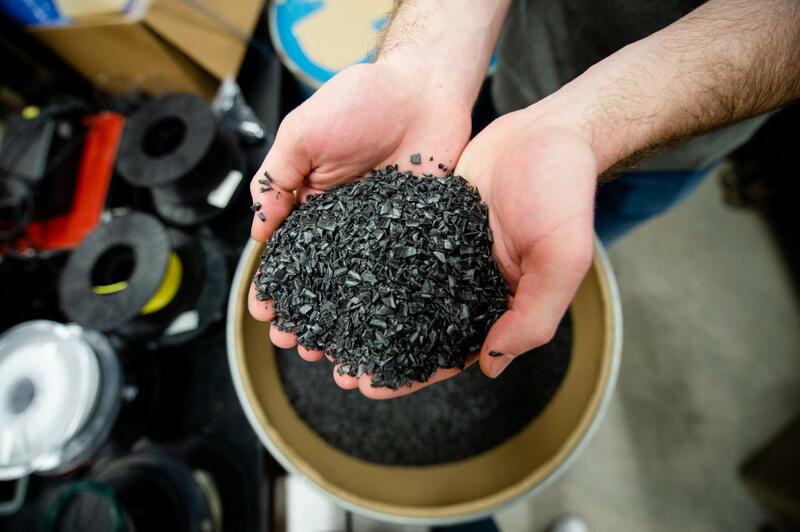 That’s a hallmark of the Gigabot X — last year a Michigan Tech and re:3D collaborative study showed that it could be used with a wide range of plastics plucked from the waste stream to live on in a new productive life. The system is based on a previous design from the MOST Lab, the recyclebot, which makes waste plastic filament for 3D printers. Pearce’s team has looked deep into better ways to sort, sift and classify plastic to improve its 3D printability. Melting and extruding, however, does weaken plastic, it can withstand five cycles before it’s mechanically compromised. What’s new with the Gigabot X is the process called fused particle fabrication (FPF) or fused granular fabrication (FGF) that skips the step of making filament before 3-D printing and saves on one melt cycle. Basically, it prints directly from shredded waste. The Gigabot X’s size and versatility to use any material including waste is reflected in the machine’s economics. While not cheap by household standards — the Gigabot X runs around $18,500 — the upfront investment has greater potential return. The team used three case studies: a skateboard deck, double-bladed kayak paddle — both child-sized and adult-sized fitted on an aluminum pipe — and snowshoes.